Friday, 15 March 2019, and Saturday, 16 March, both dawned partly cloudy and windy. As sunset approached on Saturday the sky was still partly cloudy with strong breezes. 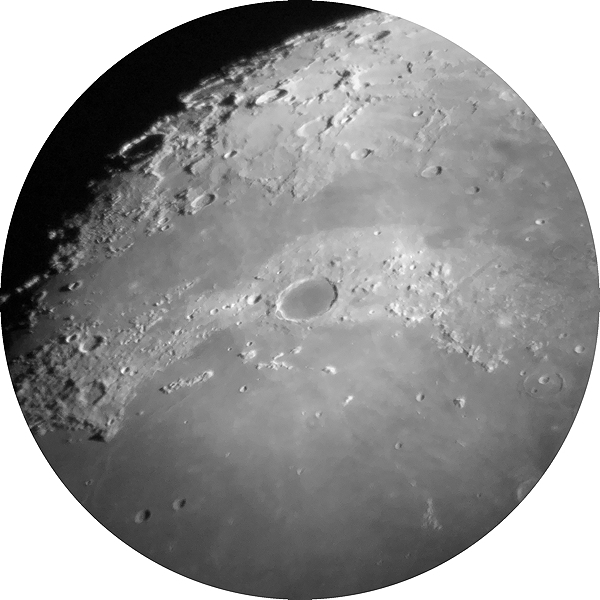 I decided to go to the observatory for a short session of lunar observing and imaging if the clouds allowed. 1747 MST: LX600 ON, StarLock OFF, High Precision OFF. Did some tests of a new product. I added the 2nd LX600 counterweight. I had recently noticed that with the addition of the 2nd finderscope along with the 2" 24mm UWA eyepiece, the balance was a little off. When I finished balancing the OTA I SYNCed the AutoStar on the star Sirius. 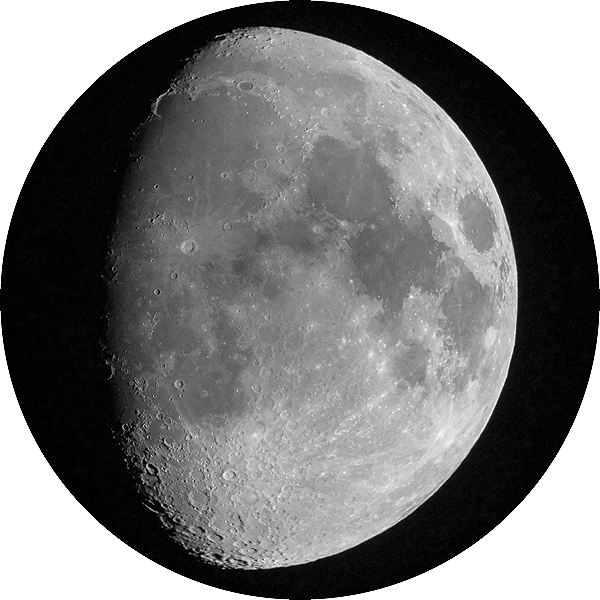 1824 MST: viewed the Moon, 102X and 81X. 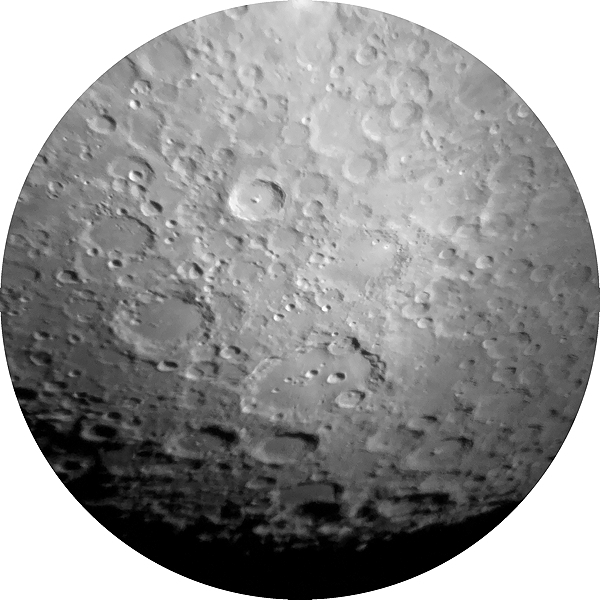 1849 MST: ended lunar imaging. 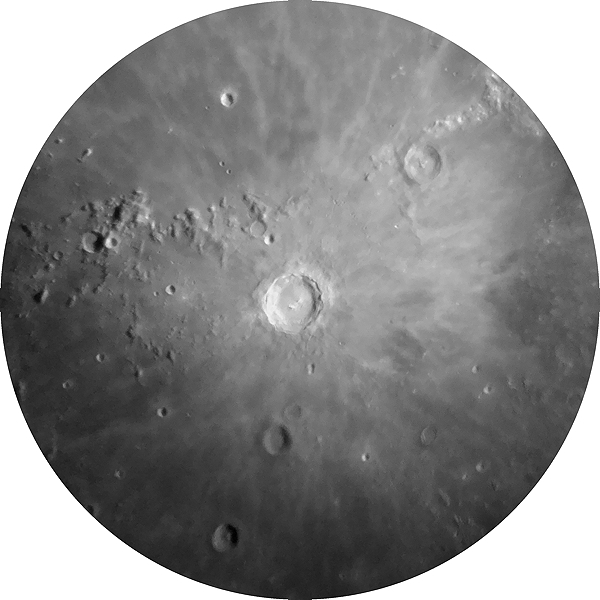 Did some lunar observing, 325X. I have posted my review of the Phone Skope digiscoping adapter.